Posted on January 13, 2019 by DanielC. This month, I read To Kill a Mockingbird, written by Harper Lee. The story follows Jean Louise (Scout), a young girl who loves to explore the world and her town, Maycomb. She also has an older brother named Jem Finch and a father, Atticus Finch, who is an attorney. The story follows Jean Louise’s daily life, leading up to a big case her father is working on defending Tom Robinson, who was accused of a crime he did not do. This part of the book was my favorite, because even though Atticus knew his chances of winning were slim, he still gave it his best effort. I also liked the segment just before the defense was presented, when a group of men were about to kill Tom. Before they have a chance to do it, Scout stops them. As the fight is about to start, Scout recognizes one of the men. She introduces herself and tells the man to say “Hi” to his son, Scout’s friend. After that, the man calls off his friends and they leave. This scene really moved me. It represents how everyone is human and shares common ground. When Scout asks the man to say “Hi” to his son, the man realizes that he has a family, just like Atticus or Tom. If he killed Tom, he would never be the same, and his family would always look at him differently. Overall, I thought this book was very moving. It had a great mix of comedy, suspense, and dramatic impact. I would definitely recommend this to eighth graders and up. 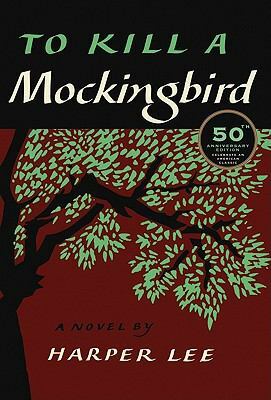 To Kill A Mockingbird by Harper Lee is available for checkout from the Mission Viejo Library. Posted on February 5, 2018 by Brooke H.
Gone With the Wind by Margaret Mitchell is a classic historical fiction that is based during the Civil War. It tells a narrative about life from the Confederate’s point of view. Scarlett O’Hara, one of the main characters is savvy, realistic, and strong-headed. Scarlett has no problem adapting after the Union has won and things start to change. Her perseverance and intelligence is what gets her through the rough times. Another main character is Rhett Butler. While he and Scarlett are very much alike, they are also very different. Rhett manages to keep a calm and cool air about him while Scarlett sometimes has a short temper. He also, like Scarlett, uses the changing times to his advantage and lets nothing slow him down. This book is definitely one of my favorites because although I know that slavery is terrible, it gives great insight and perspective about the lives of Southerners after the Union’s victory. Many struggled with keeping food on their tables and many had never known a life without slaves. Even so, while the war had hardened and changed many people, it never changed Melanie Wilkes. She was my favorite person in this book because she always saw the good in people. She became such a lovable character by staying true to herself even after the war. This book’s plot was not too complex and easy to follow. The author did a great job of developing the characters throughout the book and I guarantee you will be invested in these characters just as much as I was! It portrays the hard times and perseverance needed to survive back then. This classic is a great-read for every age. It’s a great way to look back at history because it can never be erased, but we can always learn from it. For younger readers, there may be a few words that are hard to comprehend. However, overall it definitely became a favorite for me. I would read this novel again! 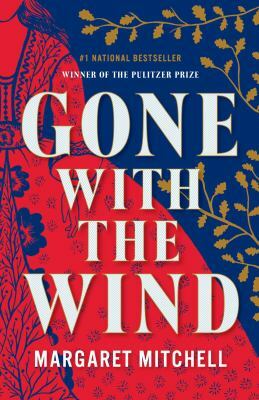 Gone With The Wind by Margaret Mitchell is available for checkout from the Mission Viejo Library. Posted on January 6, 2017 by Aliya A.
Frederick Douglass was an author and speaker in the 1800s, a human rights leader in the anti-slavery movement who had been a former slave. 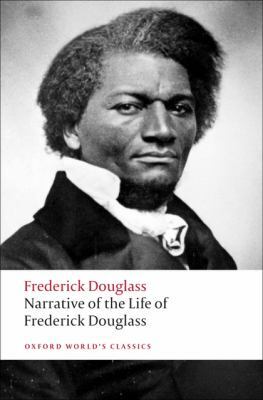 In his slave narrative, the Narrative of the Life of Frederick Douglass, Frederick Douglass recounts his life in slavery, and how he went from a plantation to living in a city, and vice versa. The examples he makes to illustrate points are effective, in that they show the reader different aspects of the slave system. Douglass details the evils of slavery, pointing out many ways that slave owners subjugate their slaves, both physically (though this was alluded to concerning Douglass himself, there are other graphic examples that highlight the slaveholders’ brutality), and mentally. However, Douglass does make distinctions between different slave-owners, and shows the reader (at the time the audience were people in the North) that, since all slave-owners were not the same person, that they had different personalities and dealt with their slaves in different ways. Though opportunities in Birmingham allowed him to first see the road to freedom, Douglass did not, as he grew older, keep the knowledge to himself, and throughout the narrative establishes that he wants all slaves to lead a free life. I liked reading this narrative by a historically large figure for a few reasons. For one , it didn’t only bring to light the evils of slavery – evils that most people know the general gist of, like whipping, physical and mental abuse, etc., but also gave specific examples of things that an actual slave experienced and was not simply derived from historical documents written by white plantation owners or visiting people. On top of that, I thought that this narrative was well-written despite its shortness. Narrative of the Life of Frederick Douglass is available for checkout from the Mission Viejo Library.